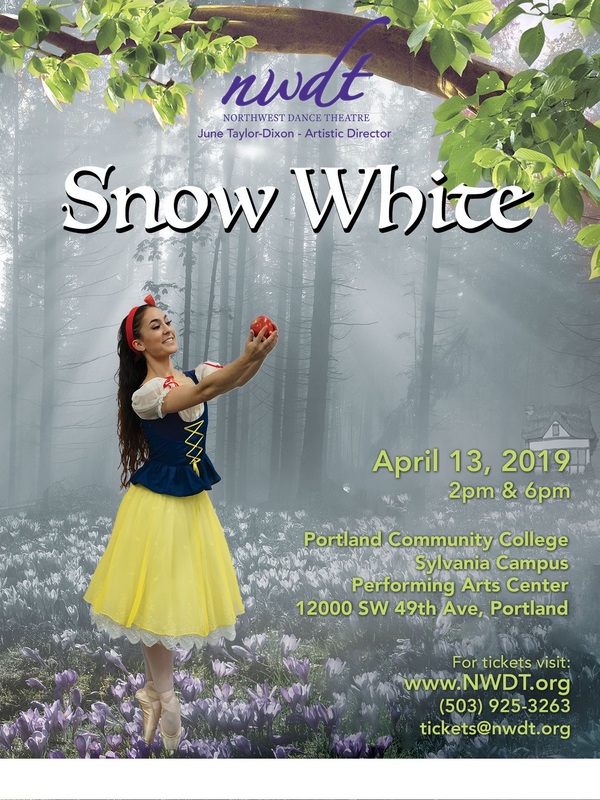 Returning in the Spring of 2019, Northwest Dance Theatre is proud to present an encore production of the beloved tale of Snow White. Join us in April to experience the fun-loving seven dwarfs, adorable forest creatures and the evil queen. A crowd-pleasing treat for the whole family! Two shows only, so book now to avoid disappointment. All tickets are non-refundable. We are sorry for any inconvenience, but we cannot honor refunds in the event of a facility closure due to inclement weather. Ticket exchanges are possible but subject to availability. Tickets for the same price zone may not be available for exchange, resulting in higher ticket pricing or downgrading to a lower priced ticket without a refund on the difference in pricing.